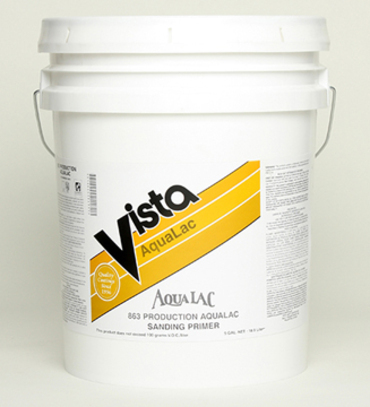 Production AquaLac is a zero* VOC quality water-based acrylic quick dry primer which offers excellent sanding properties and minimum grain raise. Designed for new or refinished projects over wood, drywall, paneling, hardboard and many other interior surfaces. This product offers excellent adhesion and enamel hold out. Recommended Uses: Drywall, hardboard, wood surfaces, cabinets or other interior surfaces.